WASHINGTON (AFP) - United States Secretary of State Hillary Clinton fainted and suffered a concussion while battling a nasty stomach bug, an official said on Saturday, just days before the release of a key probe into the Benghazi attack. "While suffering from a stomach virus, Secretary Clinton became dehydrated and fainted, sustaining a concussion," Mrs Clinton's top aide Philippe Reines said in a statement, without giving further details of what happened. 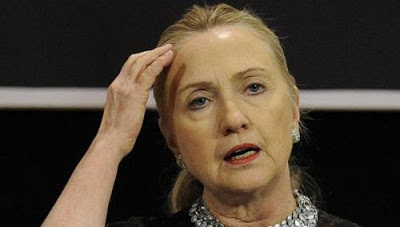 The news came just as Mrs Clinton, 65, had been expected to testify on Thursday to US lawmakers about the findings of the investigation into September's militant attack on the US consulate in Benghazi, Libya. The normally indefatigable Clinton, who in her four years as the top US diplomat has traveled almost a million miles visiting 112 countries, was "recovering" but plans to stay away from the office next week.